Low voltage security cameras are multi-functional and favored by many business owners in need of a wide angle outdoor security camera system. Popularized because of the varying advantages that low voltage CCTV products provide, low voltage security cameras are now commonly used in scenarios where electrical connections are limited (such as an outdoor construction site). In this article, we will take a look at what low voltage security cameras are used for, the pros and cons of low voltage security cameras, and why a solar powered security camera might be the best solution for outdoor security and surveillance systems. 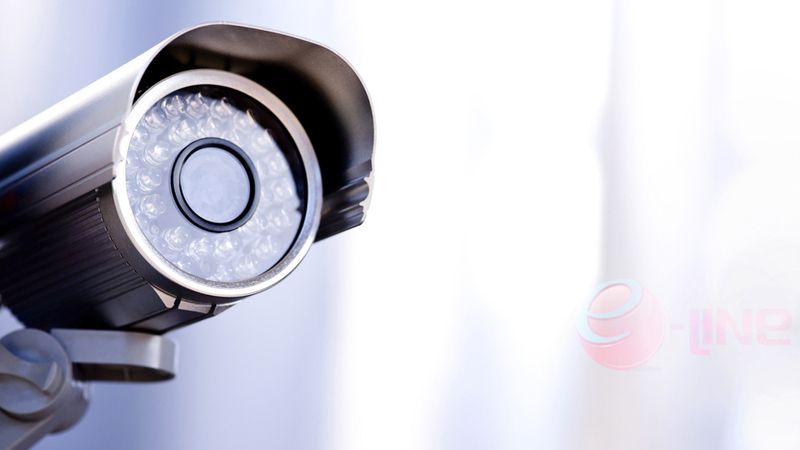 To speak more in-depth with a security and surveillance expert about implementing low voltage security cameras into your current security camera system, contact eLine Technology today. Low voltage security cameras are used for a few different purposes and come in different types. CCTV surveillance cameras, in general, are supplied power in one of three voltages. The three power supply options generally used in standard CCTV security cameras are 120VAC, 24VAC, and 12VDC. To decide which voltage camera type is best suited for your surveillance system, first you need to understand what makes each type unique. Listed below are the primary similarities and differences between the three voltage standards used in security cameras. 120VAC: Standard North American household appliances typically are designed to use electricity delivered at 120VAC (volts alternating current) 60Hz. What this means is when the electric current is actively flowing, the current rises from 0 volts up to 120 volts and then back down to 0 volts; then vice versa (electric current falls down to negative 120 volts and rises back up to 0 volts). Security cameras designed in this standard are supplied power in the same way other common appliances are – with a 6-foot power cord running from the outlet. Advantages: Most security cameras are designed to operate with this power standard, so the amount of CCTV products to choose from is highest. These cameras also don’t require additional cables or accessories to install and can be powered by extension cords that might already be owned. Disadvantages: The range of security cameras using this power standard is limited to the length of the power cable. This requires these cameras to be specifically placed near power outlets before installation, making it more difficult to cover wide outdoor properties (or other locations where the outlets are far away from the area in need of surveillance). 24VAC: Low voltage security cameras are also designed to run on 24VAC and are commonly found in commercial locations with security and surveillance systems. Instead of being powered by a built-in cable that runs directly into the appliance, an external plug-in is used. The external plug-in supplies low voltage power and is connected to the camera with low voltage wiring (such as 18 or 20 gauge wires, aka speaker wire). There are even some low voltage wire options available that combine video coaxial and low power cables into an all-in-one cable. Advantages: Low voltage security cameras do not need to be installed close to the power supply and can placed as far as 350 feet from the power station or closest working outlet (350 feet is the maximum distance 24VAC power wires can be run). This is a significant benefit for properties that require outdoor security cameras systems far from working outlets. Additionally, large power supplies are also available, which can be set up in a central location and used as a power station for multiple low voltage security cameras. Disadvantages: Low voltage security cameras designed to work with a 24VAC power supply require purchasing additional equipment, such as low voltage cable wires. Additionally, the wiring and security camera installation will most likely have to be done by a professional CCTV installer. Though low voltage security cameras and large power supplies are readily available and widely used, they still require extra investment costs to actually achieve the desired benefits. 12VDC: The 12VDC (12 volts direct current) low voltage option is ideally meant for electrical products installed in locations where the overall distance of the cable to the camera is so big it causes voltage drops. An example of using 12VDC would be in cameras that are powered by a large battery (such as a reverse camera inside a vehicle). Advantages: The power supply for 12VDC security cameras operates in the same manner as 24AVC – through an external plug-in and low voltage wire. This permits the cameras to be placed in places far from the nearest power station or outlet. Disadvantages: DC or direct current is less common than AC for a few different reasons. Primarily, DC devices are less common because direct current loses more energy over distance than alternating current (making AC the cheaper option). Solar Power: Solar energy is a completely renewable, efficient, and practical power source now being used increasingly across a number of different industries (including security and surveillance). By collecting and harvesting the sun’s energy through connected solar panels, solar powered devices are fast becoming a common choice for people looking for eco-friendly power solutions. Advantages: Many popular low voltage security cameras are actually solar powered and create their own energy without needing an external electrical power supply. Since solar security cameras are designed to use the sun’s energy, they can be placed in any location that receives a sufficient amount of direct sunlight throughout the day. Overall, the benefits of solar surveillance cameras include flexibility, affordability, scalability, and now 4G network connectivity. Disadvantages: Locations without enough hours of prolonged sunlight limit the length of using solar powered security cameras and can even require electrical power on top of solar power. The solar panels used to gather energy can be bulky or expensive and professional installation and maintenance will be necessary. Visit eLine Technology to learn more about 4G solar surveillance cameras and shop for low voltage security cameras online.